With big money to be saved off a New Suzuki S-Cross - Is it time you took one for a test drive? 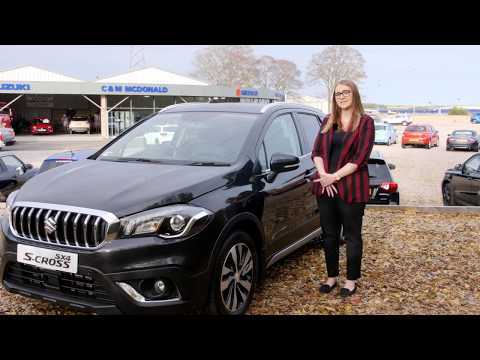 What can you save today on a S-Cross from C&M McDonald today? 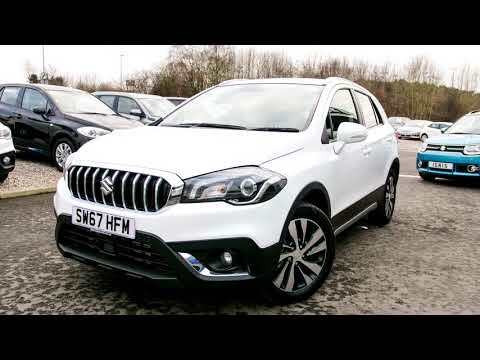 Where do we start with the SX4 S-Cross that’s an SUV that’s available in two or four-wheel drive which powerful, efficient and spacious which along with all other Suzuki models comes with a healthy set of features that come as standard. The Interior of the SX4 S-Cross has a new seat fabric, that’s soft and feels premium there’s also an upgraded dashboard that’s easy for anyone to feel at home with.Just as before it has Air Conditioning for those roasting North East summers we known for (OK maybe not, but it’s still a welcome feature), Bluetooth® connectivity, DAB radio, USB connection as standard on all models. Suzuki’s infotainment system that you find now on their newer design cars comes as standard.It’s there to help with the journey from the music, Apple Play or Android car compatibility as well as having an easy to use Sat Nav system. The entry level SZ4 has 16-inch Alloy Wheels, there’s Dual-zone Automatic Air Conditioning so both passengers sat up front can travel in personalised comfort (you may however still argue over the music I’m afraid) with bluetooth connection via the infotainment system giving you Android Auto or Apple car play compatibility.There’s also power door mirrors,the steering wheel allows for ‘Tilt and Telescopic’ movement and the drive gets even better with cruise control. Move up to the SZ-T and the trim brings with it 17-inch alloys, Keyless Entry & Susuzi’s brilliant easy to use Sat-Nav. The Boosterjet petrol engine that comes with the S-Cross brings punchy power with economy and fuel emissions in mind.It’s also to be driven before it can be fully appreciated.The SX4 is available with the 1.0 litre Boosterjet (five-speed manual or six-speed automatic transmission).It also comes with the 1.4 litre Boosterjet ( six-speed in both manual and automatic transmission).Finally it’s also available with a 1.6 litre DDiS engine that is six-speed manual gearbox. It’s an easy drive and is available for a test drive from C&M McDonald today.When you drive one you’ll feel the benefits from a strong grip and great suspension with great all round handling.Take this car on the motorway and you’ll feel at home, but then if you take it off the road and the feeling is just the same. All S-Cross cars come with ABS with EBD and Brake Assist function, ESP® (Electronic Stability Program) *, ISOFIX child seat attachments, Tyre Pressure Monitoring System (TPMS). There are also multiple airbags and side-impact protection beams.